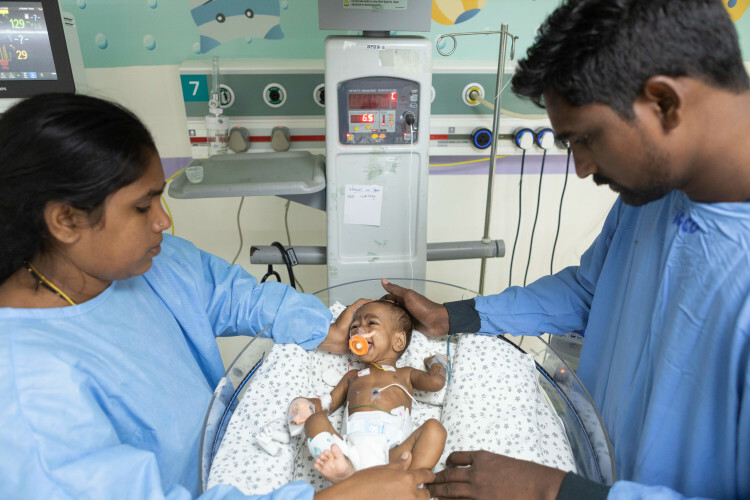 Vijayalakshmi rushed her son to a local doctor who told them he may have a stomach issue. He urged them to go to a multispecialty hospital for treatment. Anjaneyya immediately dropped everything and accompanied Vijayalakshmi and his baby to Vijayawada. He discovered that his baby has Renal Tubular Acidosis, (a disease due to which the kidneys fail to excrete acids into the urine, increasing acidity in the blood). It damages other organs including the kidney itself. In addition, the baby also has cow milk protein allergy and an abnormal amount of calcium in his kidneys. Vijayalakshmi has not even deliberated on naming her son. The family always thought planning before delivery could be a bad omen. 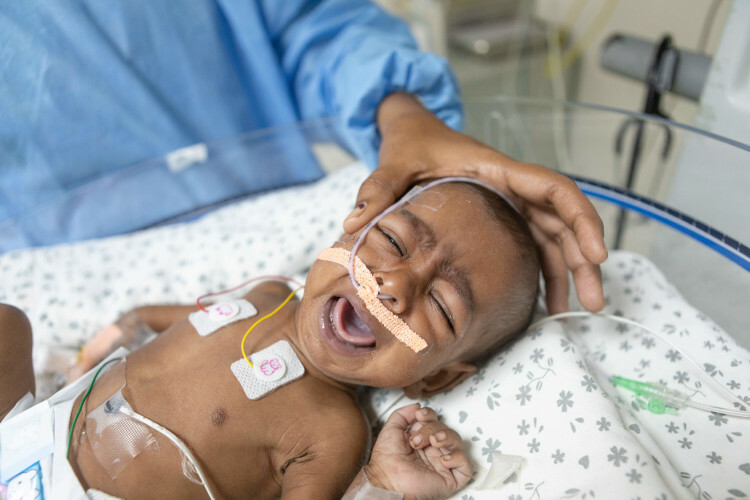 When they were ready to dwell over a name, this baby boy had to be hospitalized. 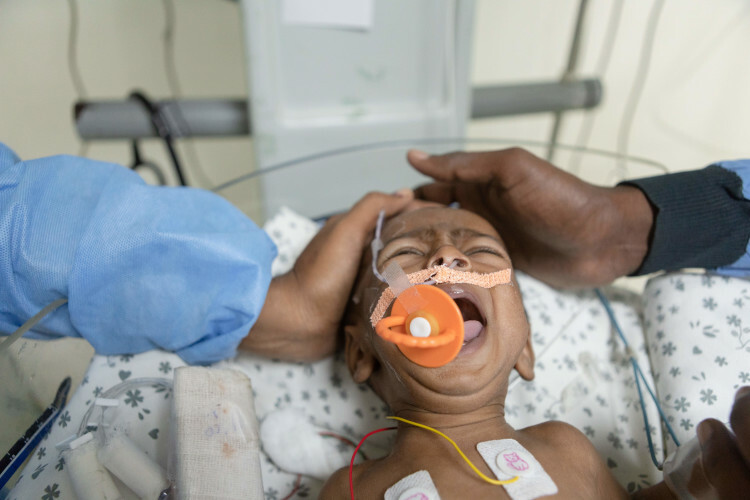 Vijayalakshmi is now afraid to dream of a future with her son until he completely recovers. 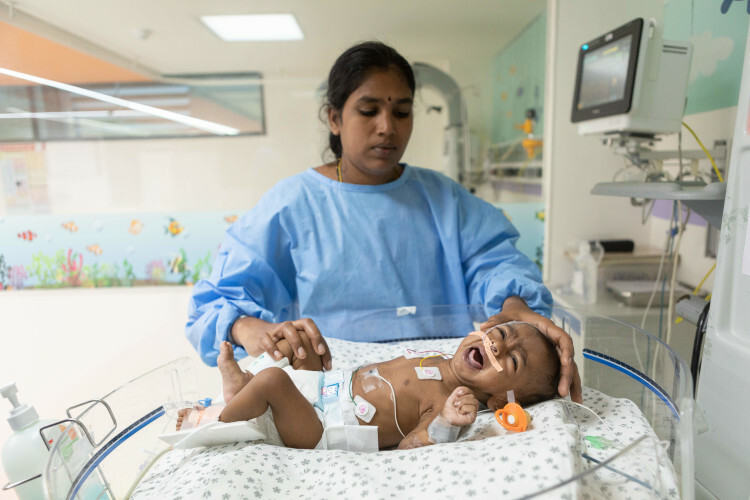 Vijayalakshmi’s son has cried his lungs out every waking moment since he was born. Sometimes these parents have started crying feeling helpless. His condition worsens after running out of breath. He does not feed, is underweight, and could succumb to his kidney condition without immediate treatment. “In the past 12 days, we had to admit him to the ICU twice. We still need to do more tests before he can get aggressive treatment. I have no money left for any of this. Anjaneyya works as a daily wage laborer and makes about Rs 6000 a month. Vijayalakshmi used to work even during her pregnancy but had to quit once she had the baby. Unable to afford food, and give time, they sent their 3-year-old daughter away to live with her grandparents. 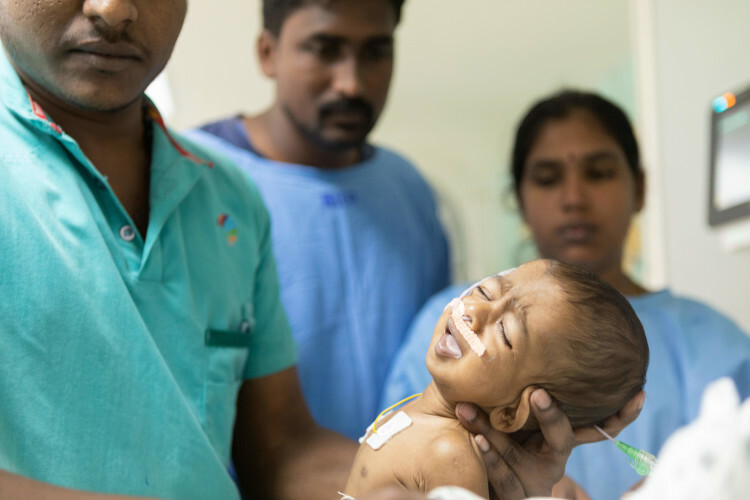 The hospital is doing its best for Vijayalakshmi’s baby boy. Fearing bills, the family contemplates pausing treatment. It may cause fatal effects for the baby boy. Thankfully, the hospital has started this fundraiser for the family to get the help they need to save their son. 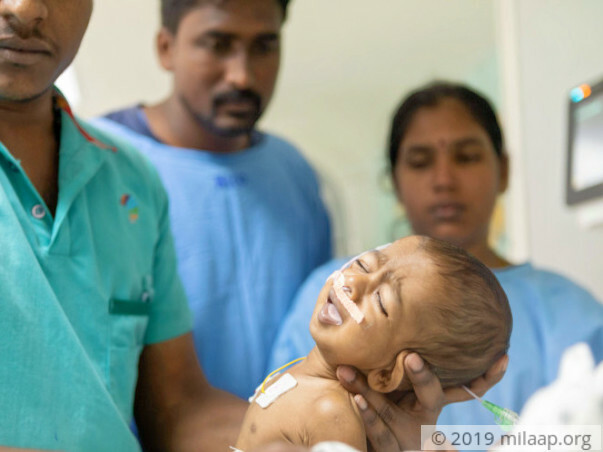 Vijayalakshmi’s son has a good chance of survival with the right treatment and can grow up to be a normal, healthy child. Now, the family needs funds in the ICU for a few more days during which he can have more tests and targeted treatment for this rare disease. Here is a quick update on baby's health. They are sending milk through one of the nostrils. The baby is doing fine and has shown good signs of improvement. Recently the family has shifted the baby to Tanuku town, they are continuing the treatment there. Thank you so much for the love and support you have shown towards the baby. Thank you for the support you have shown towards Baby of Vijayalakshmi. The baby had undergone endoscopy yesterday; her intestines seemed to be normal, however child needs treatment in view of persistent loose stools; They are planned to get discharged tomorrow.child would need special formula for few months. We will keep you posted on the condition of the child further.